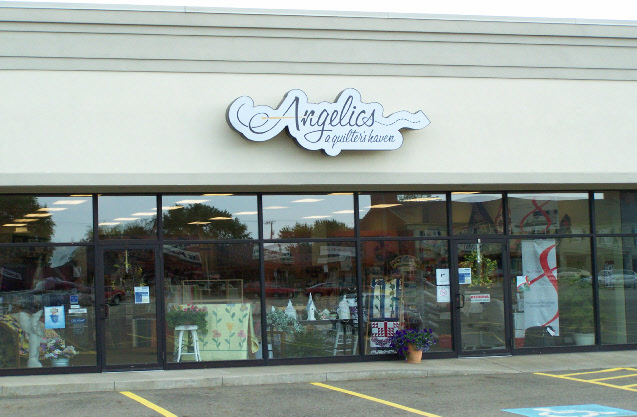 Angelics... A Quilters Haven was founded in the fall of 2004 to be exactly what its name says; a "haven" for ladies to find ways to express their creativity and enjoyment of the fabric and needle arts. The expression of your creativity, whether through quilting, embroidery, bags, garment making, needlework, or whatever means you choose, is what we're here to support. Come in to Angelics and you'll find peopel eager to help, offers suggestions, and pull together what your imagination is calling for!! When you need some willing support, we're here to help!